We are members of the New Apostolic Church (NAC). 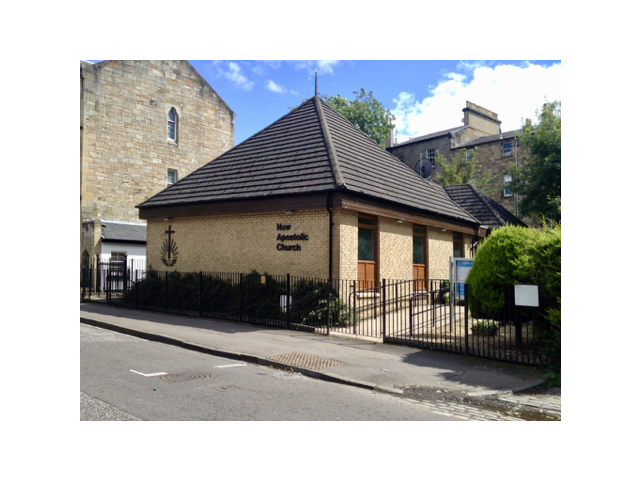 Our place of worship in Scotland is located in Glasgow at 329 North Woodside Road. Services take place every Sunday at 10:30am and Wednesday at 7:30pm. If you would like to know more about our church, you are welcome to attend one of the services. We sing in the community choir which accompanies the worship with singing. The choir rehearsal takes place on Sundays after the service. The choir is usually accompanied by an organ or a piano. We have been members of this initiative since its founding in March 2015. The initiative wants to give the issue of responsibility to the creation an audible voice within the New Apostolic Church and to institutionalise it as well as possible on all church levels. We therefore try to sensitise as many church members as possible to this issue. Members meet once a year at different locations in Germany and Switzerland. Crieff is a beautiful old market town in the south of Perthshire between Perth and Loch Earn. The town lies at the foot of the Knock. From here, you have many stunning views to the surrounding mountains. For the first 6 month we rent a full furniture apartment from Hobbs Lettings. The apartment is situated in middle of the town so we can walk to the local shops and not worry about driving. We appreciate a day without the car. On a sunny day we transfer our office to the MacRosty Park and for lunch we have a picnic. Our neighbours and all other people here in Crieff are very friendly and helpful.